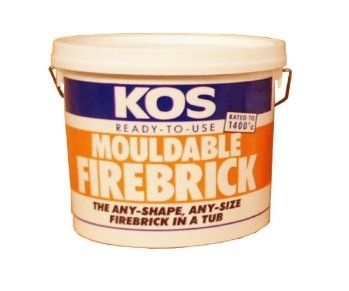 A 5kg tub of premixed mouldable firebrick suitable for repairing and replacing broken or missing firebricks in a stove or fireplace. When using, you should ensure that the area is clean and dust free to help the fireclay set in position. Mouldable firebrick is particularly suitable for repairing firebricks where part of the brick has broken away, the firebrick material moulds nicely into the gap.